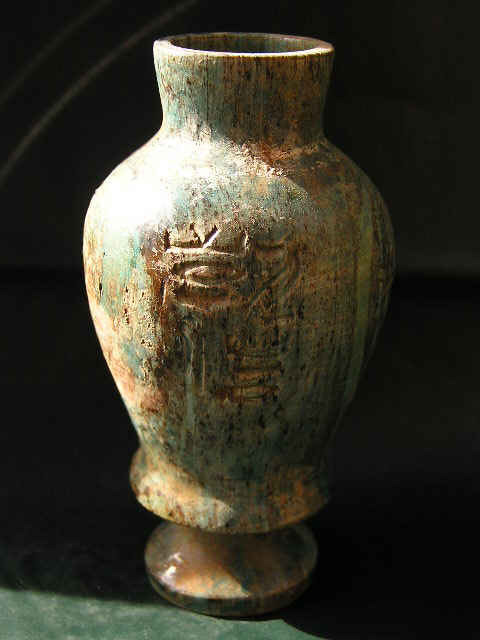 Rare Ancient Egyptian Blue Faience Kohl Make up vessel With Hieroglyphics. What a neat item for that Ancient Worlds lover. 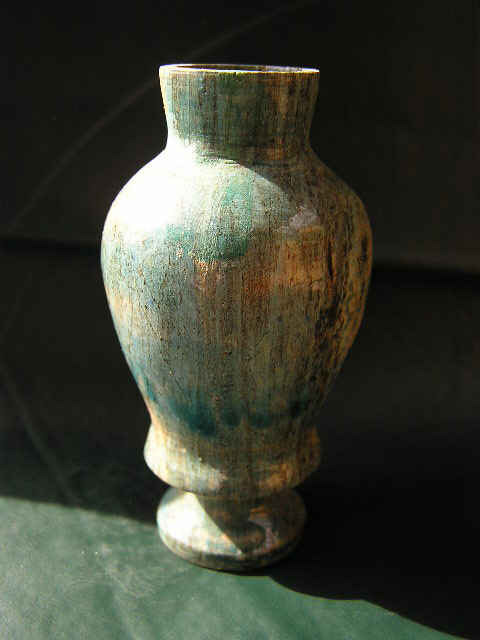 This is a wonderful Litte Ancient Egyptian Faience vessel with a pretty blue glaze. 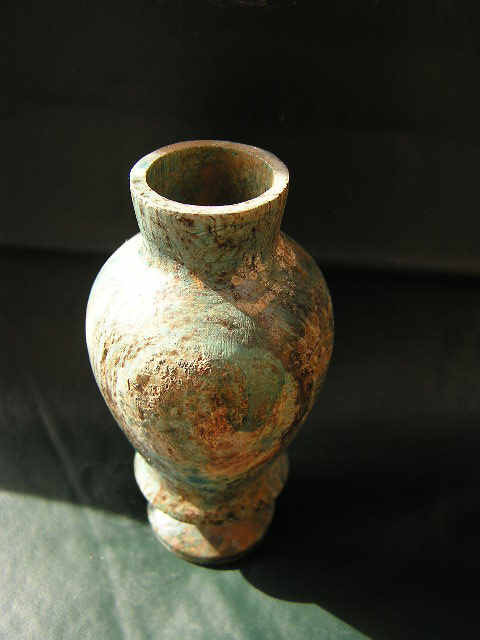 This marvelous piece has a hieroglyphic inscription on the front and appears to be in excellent condition Due to the small size of this object and its shape its believed to have had the intended use of a make up vessel for the use of Kohl which was make up used on the eyes. This is a truly rare and wonderful find and seems to date Third Intermediate Period ( 945-715 Third Intermediate Period Dynasties 22-23) . Please examine the photos to see what a wonderful vessel im offering.As always sold to the highest bidder!. This superb piece measures 2 1/4" by 1 1/2 inches.